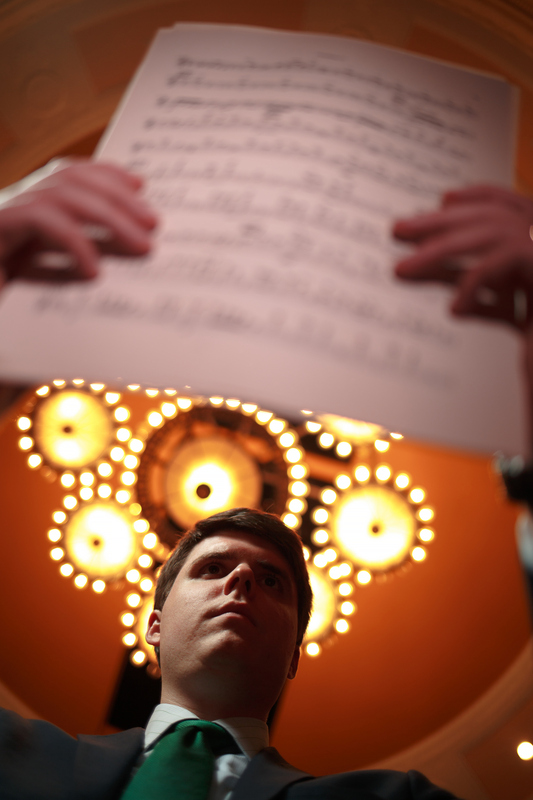 Daniel Crupi didn’t imagine his career path would lead him so quickly to the highest echelons of music administration. 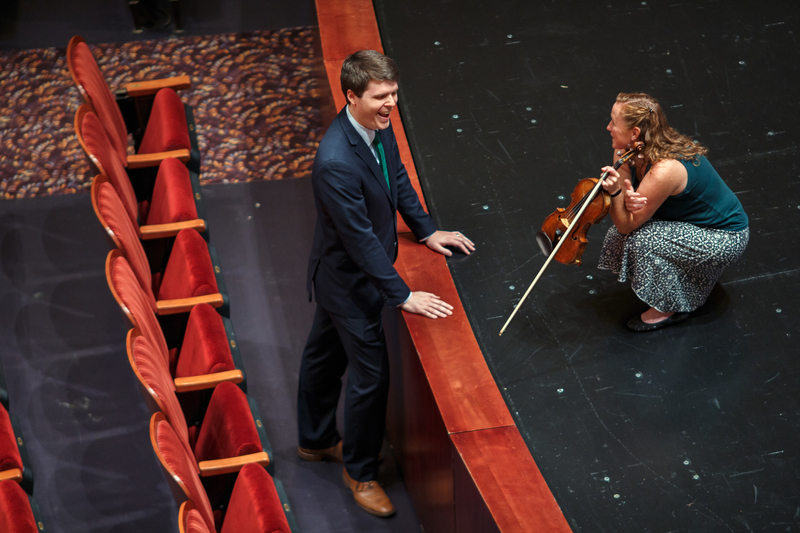 Only a few years since completing his college studies, he’s gearing up for the 2016/2017 season of the Greensboro Symphony Orchestra as chief operating officer. The season kicks off on September 29 with “War & Peace Reimagined,” a collaborative performance with the UNC Greensboro Orchestra focused on the outcomes of both World War I and II. Daniel’s educational background is in performance. He graduated from the University of Notre Dame with a bachelor of arts in music and then received a master’s degree of music in vocal performance with a specialization in Opera from UNC Greensboro. Daniel focused on building both a performance and administrative foundation in college, envisioning a long-term goal that involved both. He joined the Greensboro Symphony in 2013 as director of development and public relations and was named COO in June 2016. Overall, Daniel works to ensure the vitality of the organization, overseeing various aspects such as programming and budgets. 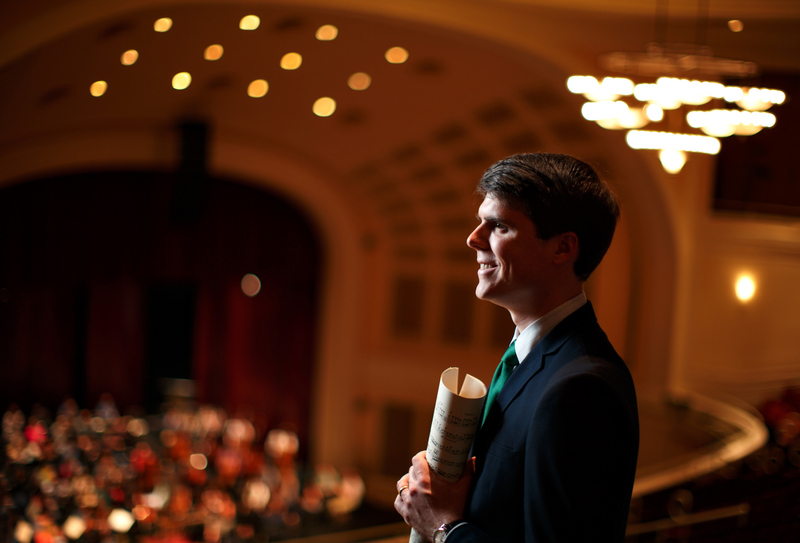 Daniel is proud that the Greensboro Symphony makes it a priority to be involved in the community. The organization works closely with Guilford County Schools, Guilford Child Development and UNC Greensboro, among a handful of local arts organizations in the area to lead educational series, collaborative performances and more. Daniel believes the community’s involvement in the arts sets Greensboro apart.